Polymer clay is one of my favorite mediums to work in because of the versatility of the product and much like beading, there are so many COLOR possibilities! Polymer clay is a sculptable material based on the polymer polyvinal chloride (PVC). There is really no clay materials in polymer clay, it is called clay because it feels and works like clay. These pendants are made with a technique called Mokumé Gané. Mokumé Gané is accomplished by layering different colors of clay, then pressing a pattern into the layers, and slicing away thin layers of clay. The results are exciting – and always different! 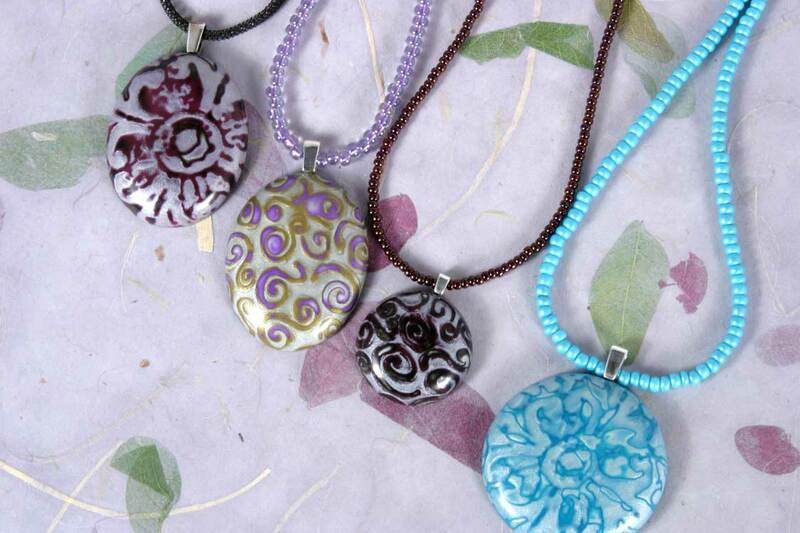 Browse the Polymer Clay samples in my Portfolio to see just a few of the possibilities!